A stylish alternative to a full length dress for a formal event or special occasion, the statement Bego jumpsuit from Pronovias is sure to get you noticed. Made from comfortable jersey with a silky texture and featuring a flattering softly draped sleeveless bodice. Fastens with a concealed rear zip. 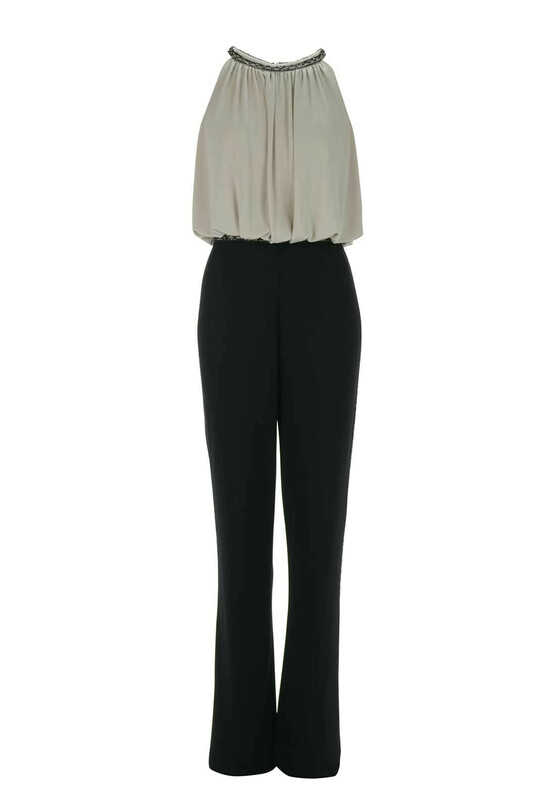 The black trousers are styled with a classic straight leg shape. Sparkling gemstones at the neckline, waist and side of the legs completes the looks.